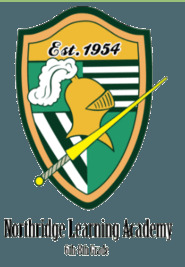 Northridge Middle School, Home of the Knights will truly look better than ever! The staff and I are looking forward to an educationally rewarding school year with you and your children. I hope that you will visit and volunteer often. ¡Northridge Middle School, Hogar de los Caballeros se verá realmente mejor que nunca! El personal y yo esperamos con ansias un año escolar educativo gratificante con usted y sus hijos. Espero que visite y sea voluntario.